Local authorities and the wider public services in Wales face unprecedented challenges and change. Local authorities are having to make increasingly difficult decisions around finances and the delivery of key services. Peer reviews provide an expert external perspective, to identify strengths and challenge areas for improvement. Peer reviews, also known as peer challenges, are a key part of the WLGA’s improvement offer for local authorities. They have been tried and tested in authorities across Wales and have built on the successful LGA model in England. Peer reviews are highly regarded and respected – both by the authorities that have received a review in the past but, crucially, by partners including the Wales Audit Office and Welsh Government. Requesting a peer review is regarded as a sign of organisational maturity and an indication of a council’s commitment to improvement; peer reviews are regarded as honest and impartial contribution to councils’ self awareness and approach to self-improvement. 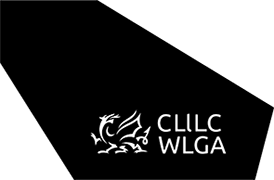 The WLGA Council agreed in September 2013 that all councils in Wales should undertake a peer review once every four years. The Welsh Government’s ‘Power to Local People’ White Paper in 2015 promoted peer review as a key feature of self-assessment and sector-led improvement and it is anticipated that peer review will form an integral element of the Welsh Government’s anticipated reforms of the local government improvement regime.